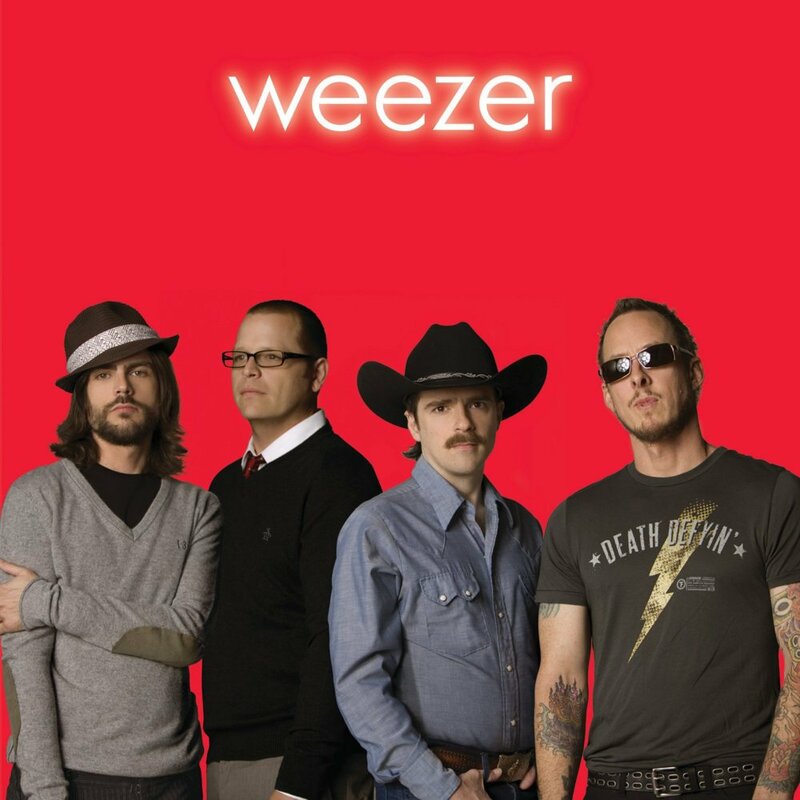 At a Weezer live show a couple years ago I waited in vain for personal favorites from more recent albums as the band played most of their self-titled debut, known in fan parlance as “The Blue Album” due to the band’s tendency to repeatedly release self-titled albums most easily distinguished by their color. 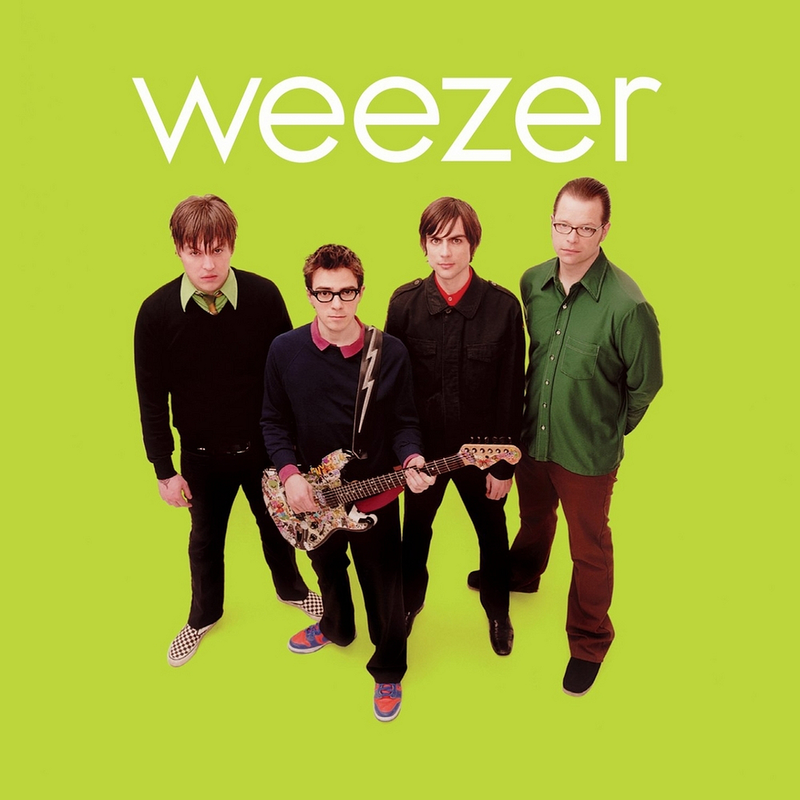 I have nothing against the Blue Album. Although “Beverly Hills” from eleven years later was their only true top ten pop single, it was their 1994 azure-covered debut which spawned the essential post-grunge modern rock hits that concert fans truly cut loose to: “Undone–The Sweater Song”, “Say it Ain’t So”, “My Name is Jonas” and “Buddy Holly”. 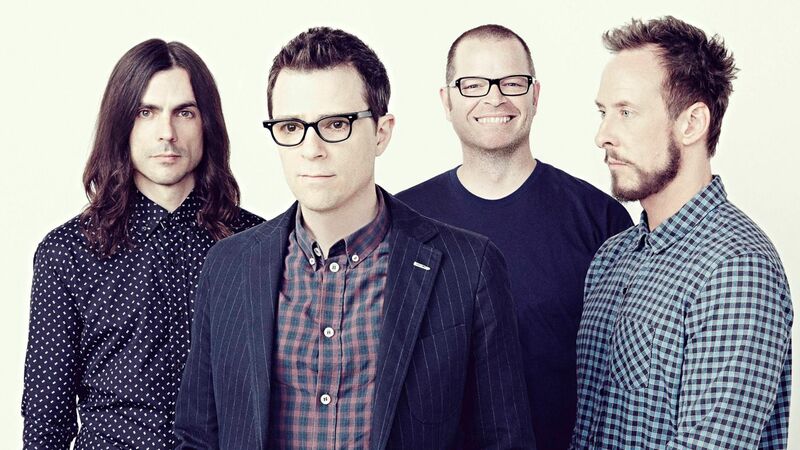 But like other bands we’ve recognized in this series of posts, the artistic successes have come along more often than the commercial ones, and there are some overlooked gems in the band’s catalogue which truly show off the band’s main strength–Rivers Cuomo’s killer melodic knack. 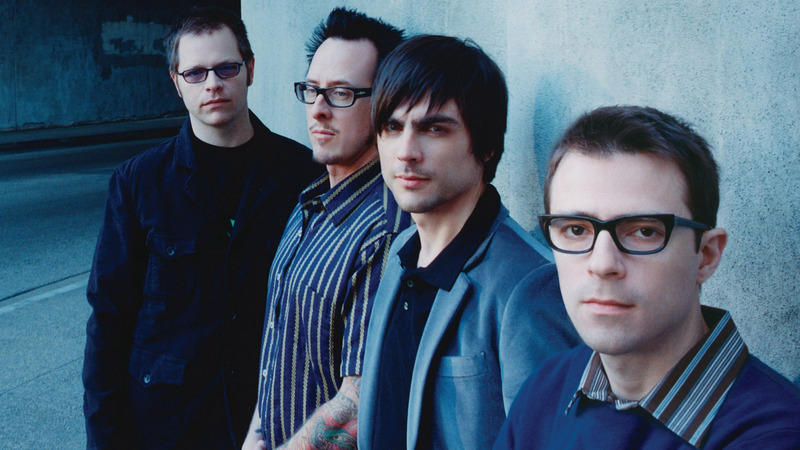 So here are ten great Weezer songs that aren’t from the Blue Album. Susanne was a talented A&R assistant at Geffen. 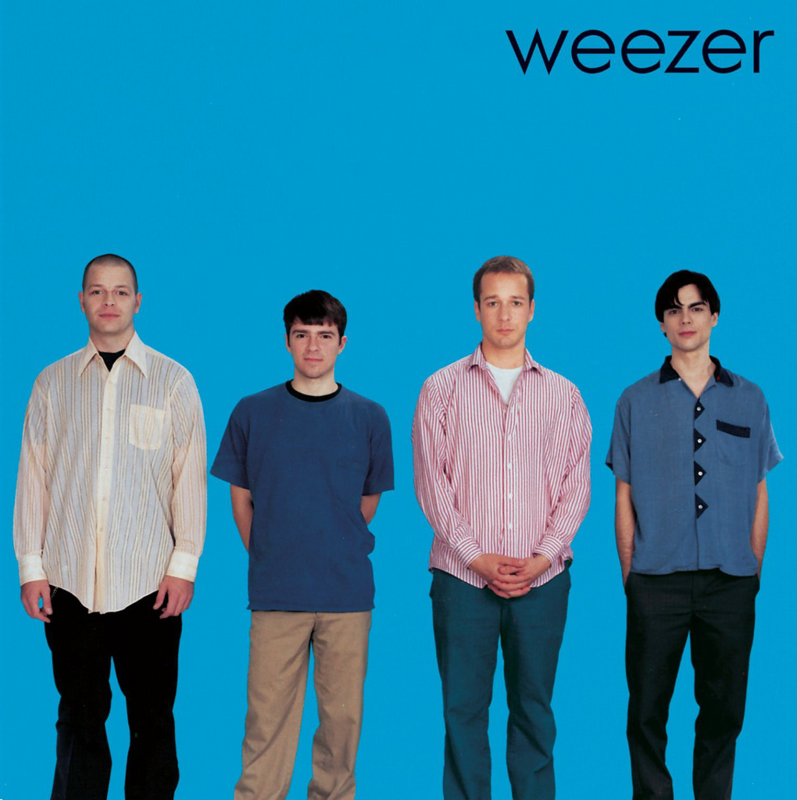 In the long months of limbo between completing the Blue album in October ’93 and its eventual release in May of ’94, she became a big Weezer supporter, doing her best to keep the guys optimistic about their future with Geffen. 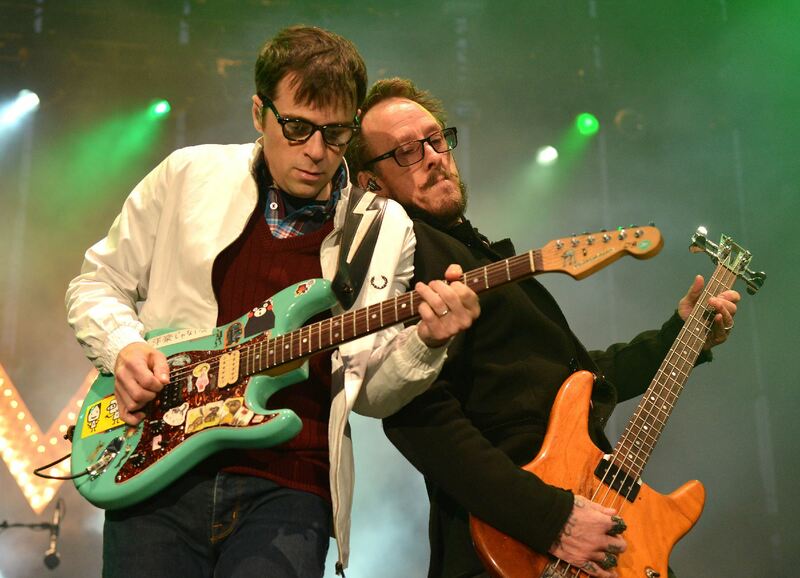 As the lyrics imply, Susanne did in fact help Rivers (Cuomo) out with her spare winter coat when he needed one, and made plates of brownies to cheer him up. Her devotion and aid were perfectly summed up in this song. Before she knew of the song’s existence, the guys performed it a cappella for her in her Geffen office. Needless to say, it surprised the hell out of her! Originally the line “Even Izzy, Slash and Axl Rose, when I call you put ’em all on hold” read “Even Kurt Cobain and Axl Rose…” In April ’94 the shocking news came of Kurt’s untimely death. Though the two had never met, Rivers had found great inspiration in Kurt’s songwriting on Nirvana’s Bleach. So when it came time to record “Susanne”, Rivers decided to change the lyric, not wanting to disrespect the memory of one who had been such an inspiration. This one starts out with a fairly assertive guitar solo (with some wah effect) before the heavy layers are stripped away for the vocals. It’s reminiscent of Steely Dan’s “Don’t Take Me Alive” and a dramatic way to begin a song. Check out the great music video which accompanies this one. And speaking of drama…the lyric and melody work together here to heart-wrenching effect. And a piercing three-note fill cements the songs joints together nicely. One of Cuomo’s best efforts. Co-written with Semisonic’s Dan Wilson. Stop-start dynamics wind up a chorus that effectively explodes onto you with its sugary power pop rush. Possibly the band’s best pure pop song. 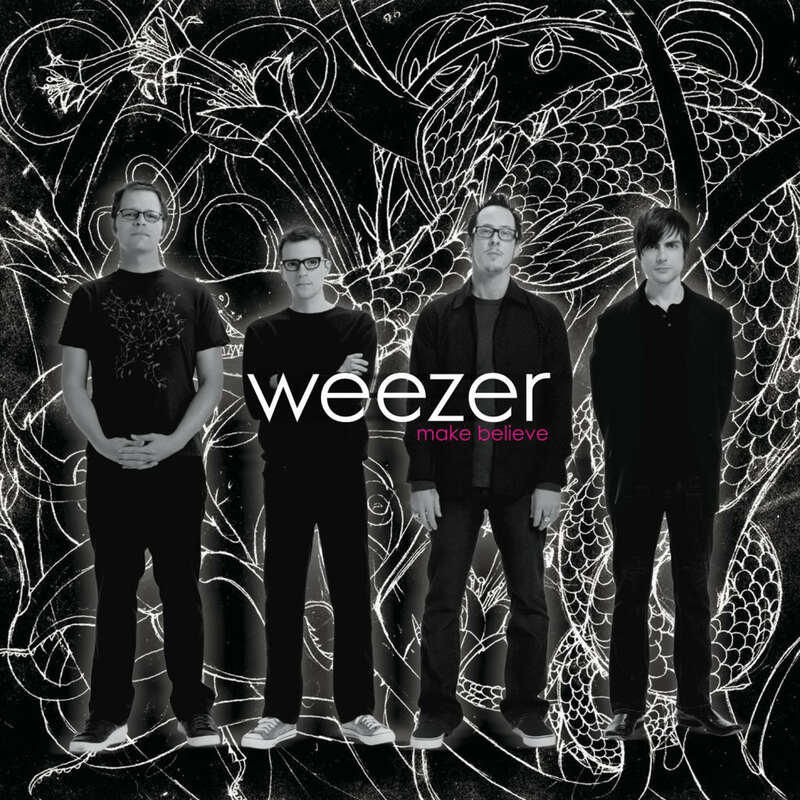 Songs like “(Girl We Got a) Good Thing” make one believe that, far from being past his songwriting prime, Rivers Cuomo is only now perfecting the formula for the type of music he’s most interested in producing. Whatever post-punk or post-grunge or post-whatever paradigm gave impetus to their initial success, Cuomo has seemingly deduced that his singular talent lies in refining the sugar found in classic bubblegum rock and roll. 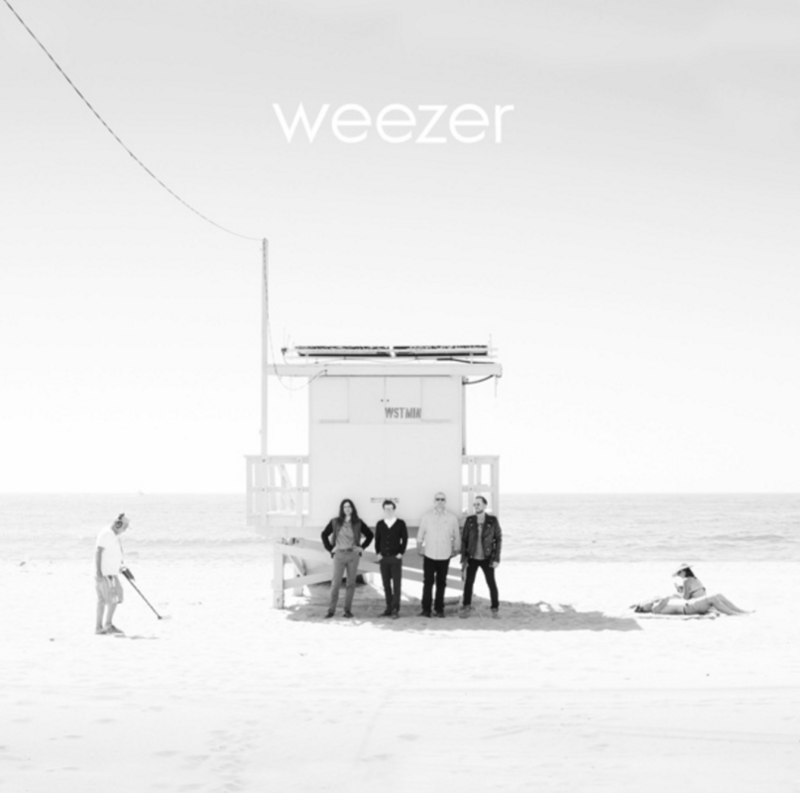 I hear echoes of acts from Connie Francis to ABBA in the melodies and arrangements of Weezer’s recent albums. And yeah that’s a good thing. Being an admirer of Brian Wilson, it’s not surprising Cuomo’s songwriting arsenal includes a shrewd comprehension of the power of the nonsense syllable. It never sounds forced, but rather completely organic. Here he tags the end of the chorus with a melodic woah-woah-WOAH, woah-woah-WOAH…and it sounds like nothing so much as an intrinsic part of the lyric. Check out another perfect example in “Perfect Situation” above. Bells and glockenspiel add melodramatic effect to a mournful lost love song. Pop magic. To describe “Sweet Mary” is to repeat myself about Cuomo’s aptitude for a sweet melancholy melody and his great pop instincts. But I won’t let that stop me. Note how the extended bridge lends tension that leads to sweet melodic relief and resolution in the final chorus. Masterful.